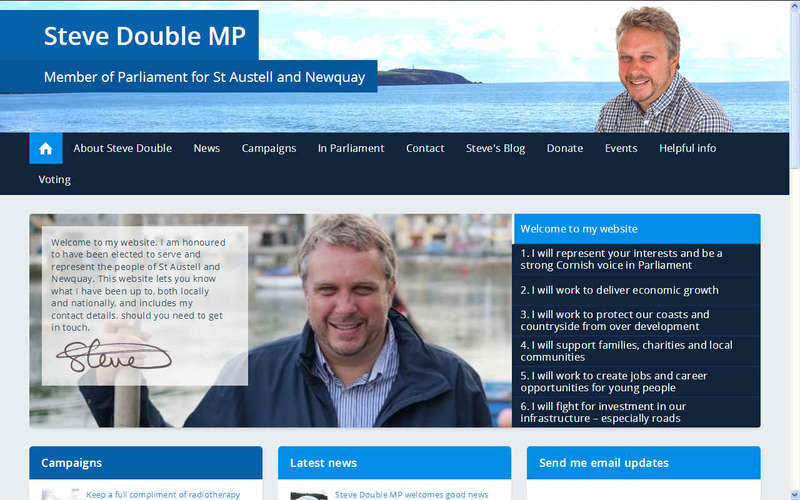 WEBSITE: The Conservative MP for Truro and Falmouth is keen to clean up our waves. 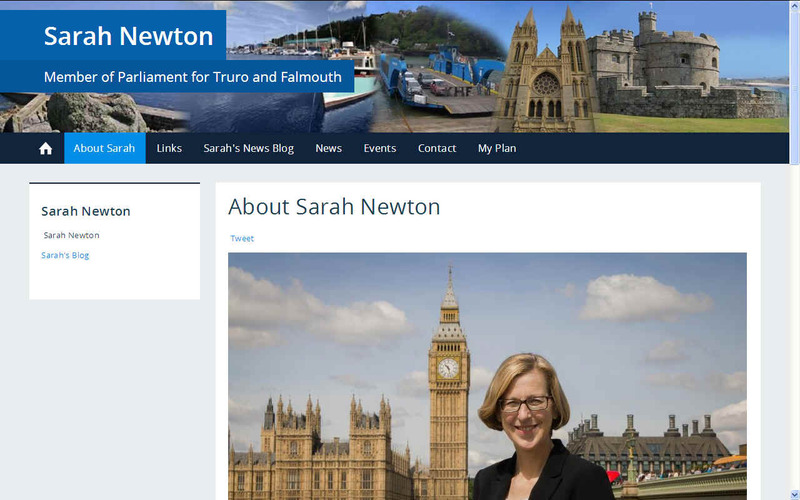 Sarah Newton MP, Member of Parliament for Truro and Falmouth, attended the inaugural meeting of the All Party Parliamentary Group to Protect Our Waves on the 15th October 2014. Organised by St Agnes based charity Surfers Against Sewage, the Protect Our Waves APPG has been launched to raise the profile and importance of the precious and unique wave resources that we are blessed with around the UK, with the ultimate aim of strengthening legislation to help protect these areas from threats posed by inappropriate developments, sewage pollution and marine litter. ‘I am delighted to be supporting Surfers Against Sewage by joining the All Party Parliamentary Party Group to Protect Our Waves. I am a keen supporter of the excellent work that Surfers Against Sewage carry out, both within my constituency and on a national level. 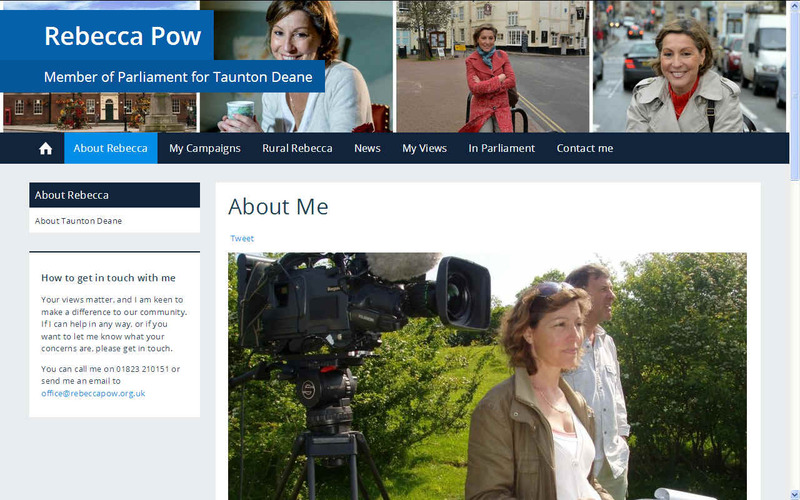 My constituency has some of the most beautiful coastline in the country and I look forward to working closely with Parliamentary colleagues and Surfers Against Sewage in leading the fight against marine litter’. 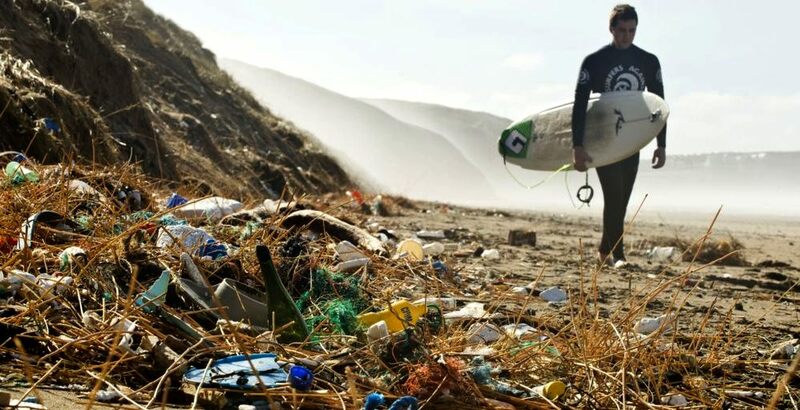 Surfers Against Sewage’s Marine Litter Report, launched at today’s meeting, highlights the scale of the marine litter crisis and suggests radical new measures to stem the flow of litter into our oceans, waves and beaches. The report calls for cohesive and effective anti-marine litter measures from all sections of society including community action, increased company responsibility and new government legislation. BEACH LITTER: A scene that we are all familiar with on our more remote beaches. Where beach cleaning parties are operating you will find that our shores are a lot better, sometimes without any plastic to be found - until the next wave. 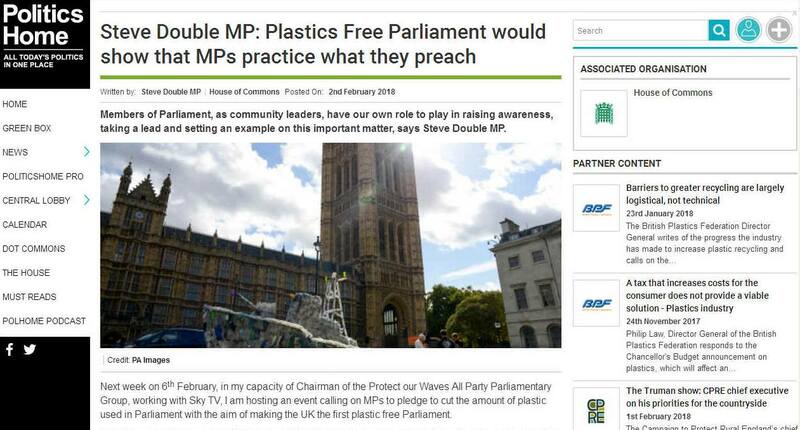 Next week on 6th February, in my capacity of Chairman of the Protect our Waves All Party Parliamentary Group, working with Sky TV, I am hosting an event calling on MPs to pledge to cut the amount of plastic used in Parliament with the aim of making the UK the first plastic free Parliament. In the Cornish constituency of St Austell and Newquay which I am proud to represent, we have many miles of stunning coastline, beautiful beaches and amazing seascapes. People come from all over the world to enjoy our wonderful natural environment. Interspersed with all of this is all too obvious marine menace – the plastic foe that has invaded our waters. 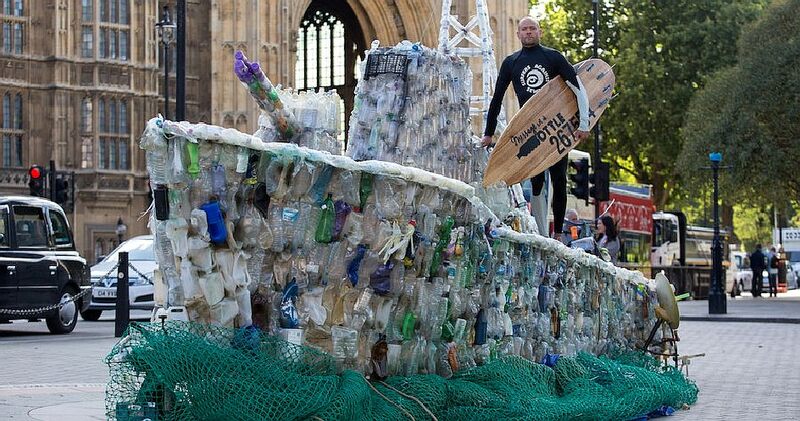 Since my election in 2015 I have chaired the Protect Our Waves APPG and along with the renowned campaigners at Cornish charity Surfers Against Sewage have worked hard to highlight the problems we are storing up for ours and future generations with our reckless use of single use plastics. In 1950, the world’s population of 2.5 billion produced 1.5 million tons of plastic; in 2016, a global population of more than 7 billion people produced over 320 million tons of plastic. This is set to double by 2034. Every day approximately 8 million pieces of plastic pollution find their way into our oceans and there may now be around 5.25 trillion macro and microplastic pieces floating in the open ocean, altogether weighing up to 269,000 tonnes. UK-wise, approximately 5000 items of marine plastic pollution have been found per mile of beach and on average over 150 plastic bottles can be found on each mile of UK beaches. On top of this, recent studies have revealed marine plastic pollution in 100% of marine turtles, 59% of whales, 36% of seals and 40% of seabird species examined. 100,000 marine mammals and turtles and 1 million sea birds are killed by marine plastic pollution annually. These shocking facts were highlighted by the recent BBC Blue Planet as well as being brought to the public’s attention by other campaigns such as the Sky News Ocean Rescue. Recently, and in the last year in particular, this Government has taken steps to reduce the amount of plastics we use and waste. There is the plastic bag charge, that was just extended in the recent Budget that has caused nine billion fewer bags to be used since its introduction in 2015, as well as generating more than £66m given by supermarkets to good causes from the income generated by the charge. The Government has recently brought in the ban on microbeads in cosmetic products that were putting hundreds of thousands of tiny pieces of plastic into our drains every time we showered. There is also the campaign to bring in a deposit scheme for single use plastic bottles, and the recent announcement by the PM as part of the 25 Year Environment Plan that the Government will be working with retailers to introduce plastic-free supermarket aisles – a great move to cut down on some of the frankly ridiculous amounts of plastic packaging we get on food purchases such as fruit and vegetables. Having fought a yearlong campaign to highlight the damaging effect of micro plastics on our marine environment I am delighted that Environment Secretary Andrea Leadsom has listened to my call for a ban on these damaging, miniscule micro beads in cosmetics and has announced plans to ban the sale and manufacture of cosmetics and personal care products containing them. Hundreds of thousands of these tiny plastic beads wash down the drain every time we take a shower, wash our hair, or clean our teeth using a product containing them. Less than 5 mm in size these plastic micro beads cannot be filtered out by water companies and ultimately end up in the ocean where they are ingested by fish and shellfish. Research indicates that this may have a deleterious effect on their reproduction not to mention the potential knock on impact on humans ingesting fish and shellfish. Eat 6 oysters, for example and you have ingested 50 micro beads. As well as running a social media campaign encouraging consumers to seek out micro bead free alternatives and calling for a ban on micro plastics I also took part in the Environmental Audit Select Committee inquiry into the impact of micro beads which has recently published its conclusion calling for a ban. It was this pressure, together with that of many environmental organisations and other likeminded individuals that convinced the Secretary of State to take action and I welcome it. A consultation will launched later this year to establish how and when a ban could be introduced, aiming to change legislation next year. At the same time evidence will be gathered on the extent of the environmental impacts of microbeads found elsewhere, such as in household and industrial cleaning products, before considering what else might be done in future to tackle other plastics, for example microfibers in clothing which also enter the marine environment and are not filtered out by washing machines or water companies. Whilst 25 UK cosmetics and toiletries companies, such as Unilever and Waitrose are adopting a voluntary phase out a legislative ban will tackle inconsistency and stop new products containing micro plastics from being sold in the UK. Manufacturers are exploring natural alternatives, including nut shells, salt and sugar, which have the same exfoliating properties but do not pose a threat to the environment. The ban follows the successful introduction of the 5p plastic carrier bag charge which has led to six billion fewer bags issued this year and I am delighted that it is a really positive step towards tackling plastic in our oceans. In England, the ban on manufacture applied from 9 January 2018, and a ban on sale will follow later in the year; the Devolved Administrations are taking similar measures. Ministers will also be working with the Hazardous Substances Advisory Committee to review evidence about solid plastic particles in other products, and their likelihood of entering the marine environment. I have been assured that they will review the position in the light of the Committee's advice. Global action is needed on this issue so I am pleased to say that the UK, along with several of our neighbours, is party to an organisation known as the Oslo and Paris Convention for the Protection of the North East Atlantic (OSPAR), which is taking international action on microplastics. The Government has said it will share the results of its consultation with OSPAR and continue to support its work. I understand that manufacturers are exploring natural alternatives to plastic microbeads, including nut shells, salt and sugar. These have the same exfoliating properties but do not threaten the environment, so the products that contain them should perform just as well. 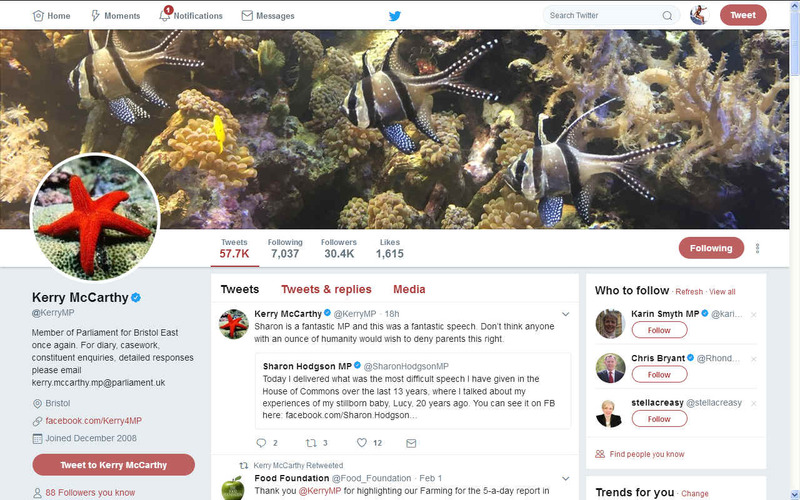 Labour MP Kerry McCarthy is quoted as saying: “The recent series of Blue Planet II has brought to public attention the serious damage plastic is causing to our marine life and habitats." A House of Lords spokesperson said: “Our catering and retail service is already taking steps to reduce the number of disposable plastic products it uses. It is currently reviewing which suppliers offer the most ethical and cost-effective disposable products (including straws). All hot beverage cups are made from recycled materials and it is encouraging customers to use their own cups by offering them a 10p discount. SAS and campaign partners #OneLess are also calling on Parliament to review their water infrastructure and ensure free reliable water points are located within easy access locations throughout buildings to encourage refilling water bottles and reduce the need for single-use bottles. Earlier this week it was revealed that councils are stockpiling rubbish after China banned importing plastic waste. To address the impacts of sewer overflows and untreated human sewage discharges at UK Coastal beaches, tackle marine litter on our coastlines and prevent inappropriate coastal developments on surfing resources, bathing waters and beaches in our region and around the UK. Steve Double MP, House of Commons, London, SW1A 0AA.